← Eat breakfast like a king, lunch like a prince and dinner like a pauper. 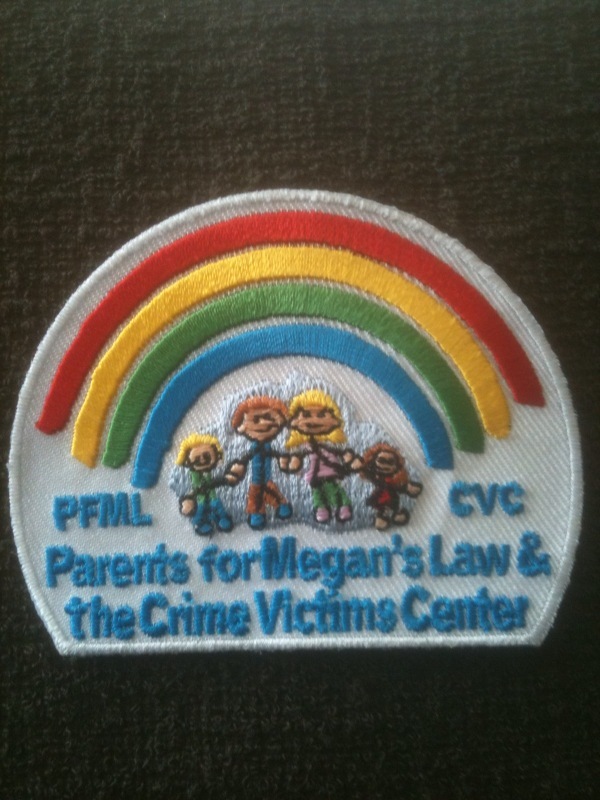 Megan’s Law – Empower your children by teaching them they have rights and choices. To summarize the content in the “When You Should Tell” flyer: The focus of this workshop was to EMPOWER young children by teaching them that they have rights, choices, and can say STOP to anyone even a grown-up if that person makes them feel “yucky”. It also explores what it means to be “in charge” of your body, and that each child gets to decide about who touches or does not touch them and how. • Understand the difference between good and bad touches. • The NO-GO-TELL policy of saying NO if something feels “yucky” and then going to tell a grown-up you trust. • How to say NO if someone wants to do something or wants you to do something that you don’t like (feels “yucky”). • Who are the grown-ups you trust? 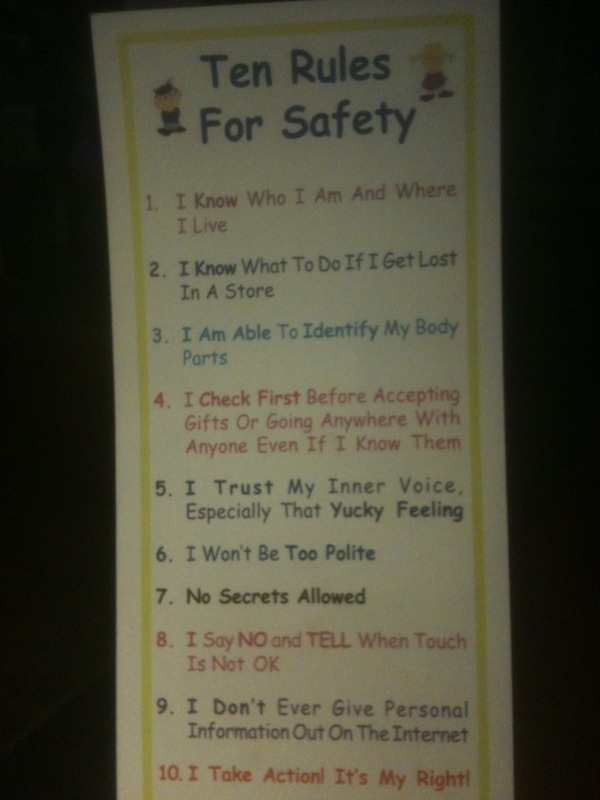 • The 10 Rules of Safety. • A thorough explanation of what it means to be in charge of your own body and feelings. • What feelings are (happy, sad, mad, confused) and why OUR OWN feelings are the most important. • Every person has BATHING SUIT/ PRIVATE AREAS and no one is allowed to touch you in your bathing suit private area unless it is to keep you clean or healthy. • The meaning of certain words such as: friend, stranger, family, danger, safety, comfortable, uncomfortable or “yucky”. • Understanding that it is not a child’s fault if someone bigger makes them feel uncomfortable.